Just in time for Thanksgiving! 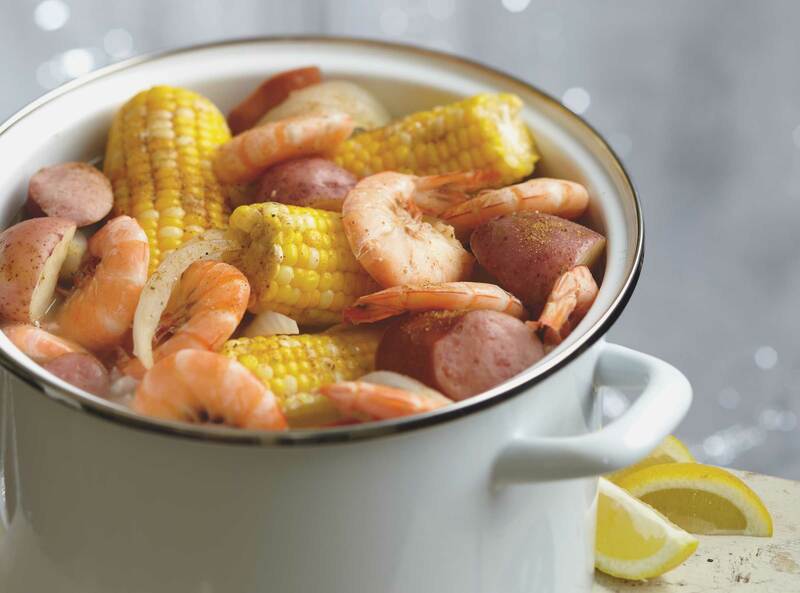 This Low Country Boil recipe is popular in the coastal states, this simplified version uses shrimp — but other shellfish can be added if you desire. Make sure you have plenty of friends and family on hand since a “boil” is more of a gathering than just a meal. salt and water to a boil. 2. Add potatoes and onions; cook over high heat for 8 minutes. on high for 5 minutes. 5. Add shrimp in shells, cook for 4 minutes.